Back some years ago, this great nation of Dubai was born, and so it is quite natural that a country possessing such an historical record should have that strong spirit that has not only made it the most envisaged economic center of this world. Back some years ago, this great nation of Dubai was born, and so it is quite natural that a country possessing such an historical record should have that strong spirit that has not only made it the most envisaged economic center of this world. It’s a mutual perception that every Middle Eastern economy relies completely on fossil fuels, but the UAE is working towards being more by 2050. It wants to present itself as a country that has clothed in clean technologies and sustainable development.As a result, the government is doing its best to support whatever green ideas come its way with serious cash and interesting initiatives. The community is being hired in a number of awareness campaigns and of particular note is the Ambassadors of Sustainability program, which educates and involves the next generation in regards to sustainable practices. Dubai Municipality is also concerned with building a smart community, with numerous Emirate-wide initiatives, including installing smart Wi-Fi palms in beaches, parks, and public areas; developing the unique Makani system to simplify navigation; launching a smart building app; addressing sustainability issues around schools, mosques and Islamic hotels; and initiating the Desert Rose project, a smart sustainable satellite city based on the principles of sustainable evolution. Marks and the measurement of results are essential, so Dubai Municipality outlined sustainability indicators within the Strategic Plan and has measured progress on these indicators through a variety of mechanisms, including surveys and participation figures. These exhibits a steady increase in the level of public awareness and the number of environmental activities and awareness programs completed, suggesting there is more engagement from the general public throughout the Emirate. Participation in campaigns and awareness programs, such as the Clean up the World Campaign, one of the Dubai Municipality’s longest campaigns, has increased and participants in such initiatives provided a positive answer in terms of satisfaction in the awareness campaigns implemented by Dubai Municipality. From 2012 to 2018, there has been a positive response from the campaign, as seen in the approximate 5% increase in the number of participants. The data is collected annually for this specific target, and is in alignment with Dubai Municipality’s Organisational Excellence programme.The initiatives in Sustainability Reporting Framework surrounding community engagement, including those related to Occupational Health & Safety, Local Communities and Product & Service Labelling as well as feedback from stakeholders on what DM is doing in support of the Emirate’s sustainability initiatives. In addition, these initiatives contribute to the achievement of a number of DM’s have strategic sustainable development goals, which aim to guide future development and support the government’s overarching vision. There is no need being a tree hugger for feeling shame each time you toss a Styrofoam container, cardboard box or plastic container in the bin. Dubai's accommodation of requesting your dinner honourable to your entry door before you even return home means you're probably going to heap up on the ecologically unfriendly things. As per recent findings by Dubai Carbon, the average UAE resident yields close to 2.7 kilograms of waste for each day. It becomes very poor every year during the period of Ramadan, increasing to around 5.4kg. To place things into aspects, the average European produces just 1.2kg of waste a day. The city still has to respect the planet earth and would like to promote sustainability because Dubai Municipality has set up a few recycling points across the city. Too, it's My City, My Environment, recycling program, a door-to-door accumulation benefits, has supplied recycling bins to Safa one and two and Jumeirah one, two and three residents. The municipality plans are to add an additional 10 neighbourhoods to the green list every year. We currently live in a society where there is over consumption and this comes with increased garbage which is a great problem. Every year we recycle more, however, as we do this we create more garbage. As we create this problem, few people are on board to help develop solutions. The three R’s which include reduce, reuse and recycle all function by helping to cut down on the amount of waste that people throw away. Throwing these objects contribute to bigger problems and they have to be replaced over and over again. Once these goods are disposed off in the landfills, there is the chance that they may form breeding sites for diseases. Likewise, once these materials are used there is needed to replace them each time, which is very expensive and costly. Invest in a build to last bag for your foodstuffs. Plastic bags can hold up to 1000 years to fully decompose. Also, you’ve witnessed the damage they do to deep-sea creatures when they get tangled in them. The coffee mugs and personal water bottles are portable and can be reused every time. However the plastic cups/bottled water have to be thrown aside after each use, thus increasing the amount of waste to be disposed of. The UAE has the highest per capita use of bottled water, using 265 litters per year. Plastic bottles take 450 years to decompose and drinking from them after they’ve been exposed to sunlight can leave cancerous chemicals floating in your urine. Invest in a water filter and store your water in glass bottles; you’ll notice the divergence in taste right away. Throwing garbage all over the place will not only dirty our surroundings and pollute the environment, making it very unhygienic, but also causes bad odours and encourages the infestation of cockroaches, flies and other insects. There are various diseases caused due to poor maintenance of hygienic conditions.We need to make sure that we know proper disposal rules and read and understand the rules posted near the garbage chute.Cleanliness has much importance in everyone’s life.Just like food, water, oxygen and other things are important for our existence, similarly cleanliness is also crucial for our healthy physical and mental makeup. Everyone should be educated on the need for safe trash disposal. 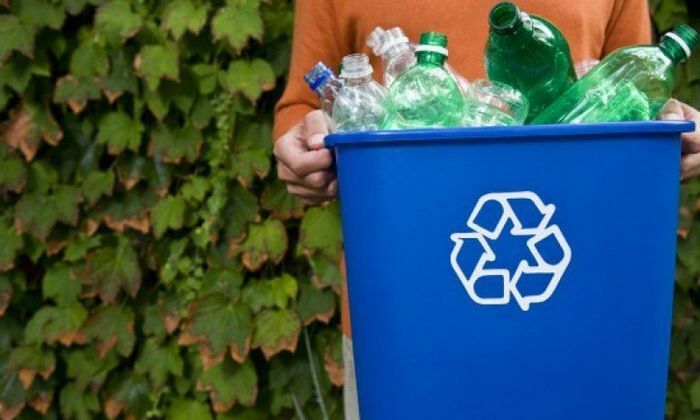 Here's a list of the most easily accessible recycling points in Dubai, which are expanding all the time.